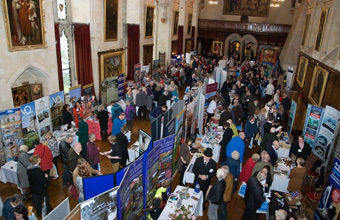 VISITOR registration is now open for the three Beautiful South Group Travel Fairs taking place at top attractions across South East England in early 2013. The first event takes place at Knebworth House, Hertfordshire on February 9, followed by Brooklands Museum, Surrey on February 16 and Portsmouth Historic Dockyard on March 2. Each free entry fair will have about 50 exhibitors from across South East England, showcasing their group offer and providing visitors with new and inspiring ideas for day trips and short breaks.